King Robota is a 10 feet tall robot that has been located in Dubai, UAE. People of Dubai you will be so excited because King Robota is getting live in Dubai, UAE. King Robota 10 feet tall robot has the ability to talk, sing and interact with the guest to convey your message. At first glance it seems like seeing a Hollywood movie in real life but brace yourself because the show will go on. King Robota has a big TV robotic chest plate that can be used to display logo or any other information related to your company. The best combination of technology, comedy and sound effects helps you to amuse your guest while displaying business or another information or presentation. Believe you are seeing real robot and there is no man inside. The King Robota live show was started back in 1974. From that time they are working continuously to provide best robotic show in the history. There is no doubt that they have used the best combination of technology, innovation and robotics to provide the best entrainment show of its kind. 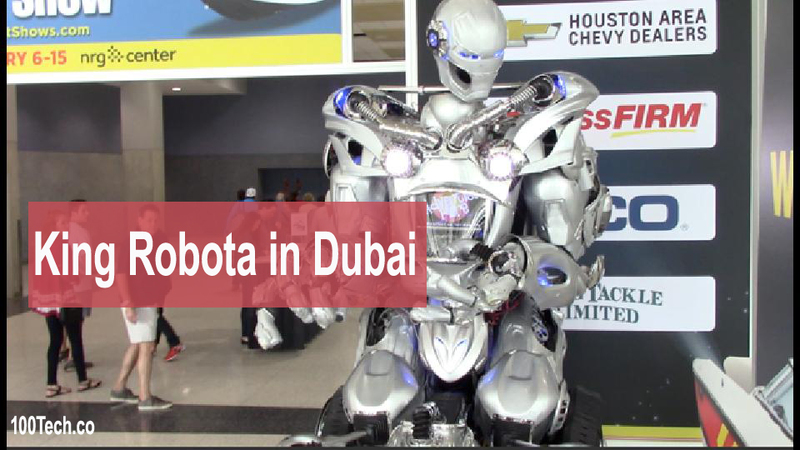 The robots you have seen in Hollywood movies like Iron Man, Ultron and Terminator etc, are live in Dubai. So don’t miss your chance and become part of this great event. Yas Mall Abu Dhabi will offer 90% discount. When ??? ?